If Joseph was Imhotep of the 3rd dynasty and Moses was Amenemhet IV of the 12th dynsasty, where do David and Solomon fit in? | Could Joseph and Imhotep have been the same person? 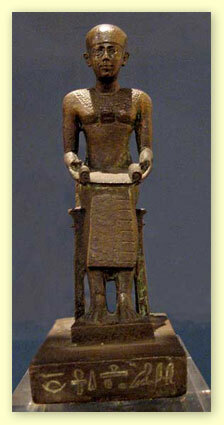 Amenemhet IV never reigned as a Pharaoh by himself. He only co-reigned with Amenemhet III for 9 yrs. This is consistent with Moses being Amenemhet IV and Amenemhet III being the Pharaoh of Moses birth and the Pharaoh that Moses fled from. Amenemhet IV suddenly disappeared at the time Moses went into exile. There are no genealogical records of Amenemhet IV’s parents and Amenemhet IV’s mummy was never found and his burial chamber was never located further supporting the assertion that he was Moses. Moses’s birth pharaoh had to have reigned at least 40 yrs and Amenemhet III reigned for 46 yrs. Neferhotep was the exodus pharaoh. Scarabs found in Kahun indicate that this slave villiage was occuppied up until the time of Neferhotep of the 13th dynasty. The town was suddenly abandoned as evidenced by the numerous tools and artifacts left behind. There were numerous coffins containing multiple babies found in the Town. These would have been left by the Israelites as evidence of the genocide ordered by Pharaoh (Amenemhet III who co-reigned with Sesostris III) when Moses was a baby. I still don’t know. According to Anne Habermehl, Amenemhet IV wouldn’t have been sole ruler for very long and the reason for his missing body could have been his drowning in the Red Sea. Besides, if Moses was a Pharaoh or co-ruler at the time of his self-exile from Egypt, do you think that that Israelite slave would have questioned his authority over them? The slave specifically asked him, “Who made you a prince and a judge over us?” And he knew who he was talking to. Does that sound like he was talking to a Pharaoh or co-ruler of Egypt? There is no evidence that Amenemhet IV was the exodus pharaoh. He did not co-reign long enough to be Moses Birth Pharaoh. He was followed by Sobeknefru who was likely to be the person who raised Moses in Pharaoh’s household. When she died the 12th dynasty ended. There was a rapid succession of pharaohs in the thirteenth dynasty. Neferhotep was the longest reigning 11 yrs. 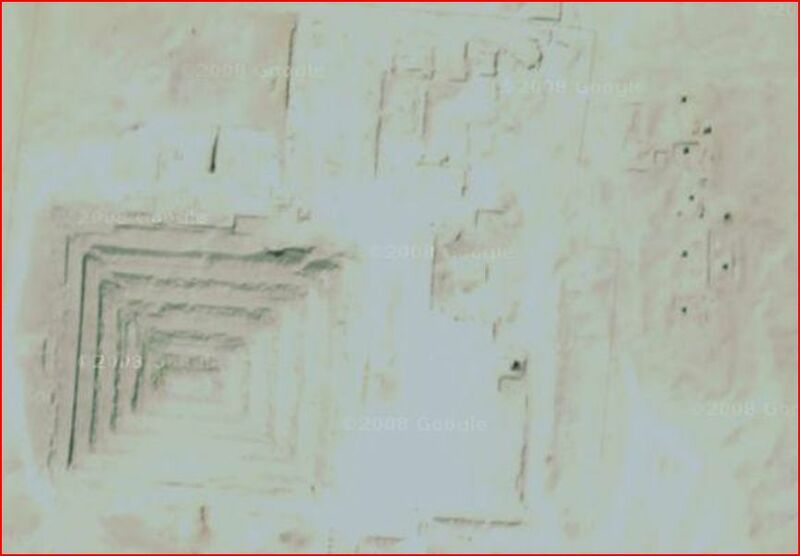 The Slave Village at Kahun was occupied up until Neferhotep according to the scarab records. Neferhotep’s body was not found because it was he who drowned in the Red Sea. Amenemhet IV’s body was not found because he was Moses who lead the Israelites out of Egypt. The Bible says that Moses was raised in Pharaohs household as Pharaoh’s own. The pharaoh had no other offspring to continue the dynasty. There are no genealogical records for Amenemhet IV. When Amenemhet III died, Sobeknefru had to take over because Amenemhet IV (Moses) had fled to Midian. A slave may have questioned the pharaoh like that if he knew that the Pharaoh was a Hebrew. I’m still not convinced. Even if we rule out Amenemhet IV as the Exodus Pharaoh, that still doesn’t mean that he was Moses. If Moses was a co-ruler of Egypt, he’d have had a considerable amount of power. Why would he have had to kill the Egyptian slave master secretly, when he could have ordered the Egyptian to stop beating his slave or else have him executed? Even after the murder, Moses could have had that Hebrew slave killed for his insolence and kept the news of his murder of the Egyptian from reaching his co-ruler instead of having to run for his life. Amenemhet III would have appointed Moses, if he was Amenemhet IV, as co-ruler and the slave’s question would have been an affront to Amenemhet III’s authority. Moses could easily have used that to justify his execution of that slave and cover up his murder of the Egyptian slave master. As for the slave himself, he already knew that there was a chance of Moses killing him, but if he knew that Moses was Amenemhet IV and that Amenemhet III had appointed him co-ruler of Egypt, then regardless of whether or not he knew that Moses was a Hebrew, would he have sealed his own fate by questioning Amenemhet III’s authority? Also, just because Amenemhet IV’s mummy was never found doesn’t make him Moses even if he wasn’t the Exodus Pharaoh. Out of the hundreds of Pharaohs known, only a fraction of those Pharaohs’ mummies have been found. While it his hard to prove it conclusively, that Moses was Amenemhet IV, it is very likely that he was. It is also quite plausible and not only that, it would fit with Imhotep being Joseph and David and Saul being contemporary with Egypt’s New Kingdom and Judges of Israel being contemporary with the second intermediate period and the Exodus being in the 13th dynasty with Neferhotep as the Exodus Pharaoh. Maybe some of these details are not right but the point is that Moses Joseph and David were all historical figures and were not just folk legends. I understand your point and I actually do believe that Joseph was most likely Imhotep and that Saul and David were most likely contemporaries of the New Kingdom of Egypt. What I’m not so sure about are the ideas that Moses was Amenemhet IV and that Neferhotep I was the Exodus Pharaoh. But I’ve already given you my reasons for doubting the former idea and I’ll give you my reasons for doubting the latter idea on another blog post. Plus, according to the woman who wrote that article, Moses would have killed the man who asked him “Who made thee a prince and a judge over us?”, instead of having to run away in fear, if he was even in line to become Pharaoh. “who made you a prince and ruler over us?” Answer “God”. The slave was addressing Moses personally as a fellow Hebrew. Moses would not have wanted to kill a fellow Hebrew and maybe there were other witnesses too. Moses / Amenemhet IV was in a very high position and could have executed the Egyptian task master publicly for beating the Hebrew slave but this would have revealed his loyalties to the Hebrews over the Egyptians and this is why Moses / Amenemhet IV did this in secret. When it became public, Moses had to flee for his life as he was no longer suitable to be an Egyptian Pharaoh. It would be like a Russian spy becoming US president.